Here we are with great news again! Please welcome new advisor of SEFLLERY Nathan Christian. Nathan is a technical expert in Blockchain-based accounting and financial applications. He is an accomplished blockchain and Fintech international speaker and is a top 10 ranked member of the People of Blockchain . Nathan Christian has his MBA from the Ohio State University and is always seeking to help mentor those in blockchain industry. 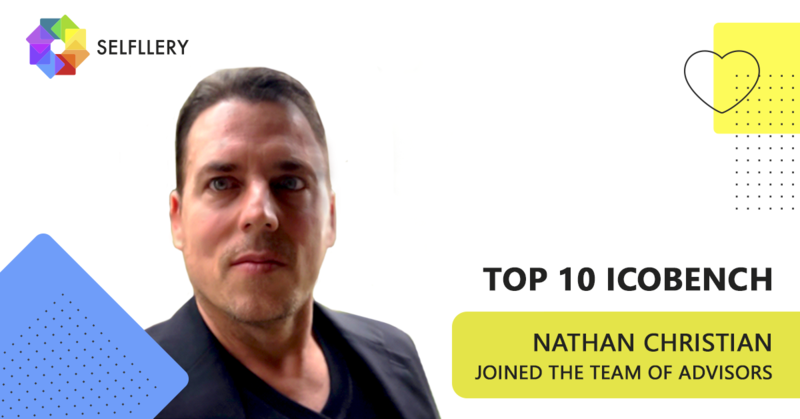 A few of his current top ICO advisory projects include: TraDove, Friendz, Omnitude, Moonlite, VeriMe, BitRewards, and LedgerScore, and fortunately SELFLLERY is on Nathan’s mind from today. We intend to work very productively together and to reach outstanding results for our social platform with Nathan Christian’s help.